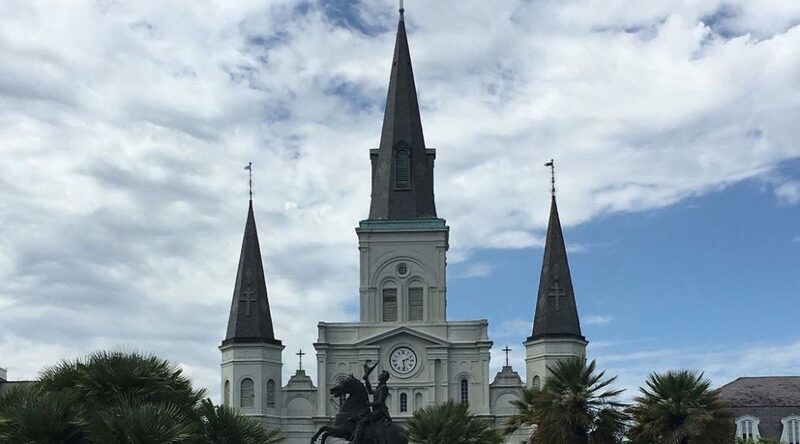 Last week I was able to attend the Southern Sociological Society’s annual meetings in New Orleans. This was my second opportunity to enjoy this conference, and getting to visit New Orleans for the first time was a major perk! I presented my work on childhood pathways to environmentalism on a panel on the environment and social justice. Other presenters in my panel discussed predictors of environmental justice campaign success and farmworkers’ responses to environmental justice issues in Florida. There was a lot of great discussion about the framing of movements and methodology. We discussed the potential implications of race in my own work and how identities and pathways may differ based on other identities. We also discussed aspects of responses to environmental injustice and the factors contributing to the effectiveness of movement campaigns. I was able to attend other panels on the use of media in social movements, environmental attitudes and concerns, sociology of climate change, and the relationships between environment and energy. Some of this work provided interesting glimpses into cases that I was unfamiliar with which was a great opportunity to hear about different research approaches. I find this conference to be the most intellectually interesting and productive because of its supportive atmosphere. The collegiality and genuine interest in presentations lead to interesting and open discussion that actually strengthens research. I was also grateful to be able to explore New Orleans. My husband joined me on the trip and we had amazing food and listened to jazz at Preservation Hall. We rented a beautiful apartment in the Lower Garden District and were able to enjoy that neighborhood as well. I look forward to future trips to SSS meetings!